P.I.N.K. All Star - Doris Budow - Play for P.I.N.K. For Breast Cancer Awareness Month, it is an honor to feature long-time Play for P.I.N.K. supporter, Doris Budow, from Gleneagles Country Club in Delray Beach, Florida as our P.I.N.K. All Star. Play for P.I.N.K. has become my passion! My mom was a breast cancer survivor and was diagnosed with Stage Four inflammatory breast cancer at the age of 72. 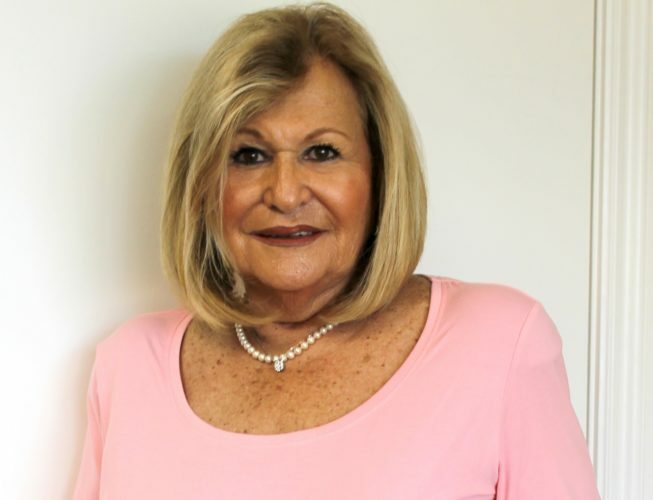 She overcame her negative odds by volunteering to counsel and support other women, at Boca Regional Hospital, while undergoing treatment. She died at 92. We all have experienced friends and family afflicted with breast cancer. Their struggles and determination to survive motivated me to try to raise as much money as possible to find a cure for this dreaded disease. When you work for an organization that donates 100% of its money to support breast cancer researchers, that in itself is a motivation. Play for P.I.N.K. is entering its 15th year at Gleneagles Country Club. It has gone from a small cadre of women participating in a one-day golf tournament and luncheon, to now having over 500 women and men participating in over a two-day period. Adding our PINK Boutique and Silent Auction has attracted both community members and outside guests. For the women who don’t golf, we added a Card, Mah Jongg and Bridge Party the morning of the golf tournament. The inclusion of our Benefactor and Tees, Holes and Greens Programs has provided our members and friends with an opportunity to honor loved ones and memorialize those who have succumbed to cancer. We have been able to raise over $1.5 million over fourteen years! Our Journal recognizes all donations and Ads. None of this would be possible without the support of our General Manager, the Gleneagles staff and community. We are so fortunate to have our own PFP Executive Board that works tirelessly for 10 months a year, planning our events and encouraging new members to join our cause. Their enthusiasm and commitment make our success possible. The men and women at Gleneagles have supported our efforts and should be recognized along with me. I am just a cog in the wheel! All the women on our PFP Executive Board and our committee members make me look good. The Play for P.I.N.K. organization is a joy to work with. They provide us the materials and support we need to make our events successful. We are looking forward to another banner year.